5 out of 5 Rating!!! 5 out of 5 Review...."AWESOME!" 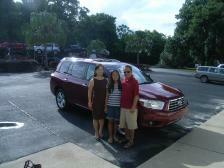 "Great buying experience. Appreciate the prompt response from Naren and trying to assist us in every way. Thank you." 5 out of 5 rating. Thank you. 5 out of 5 Rating, "Great Service, Great People"
5 out of 5 Review. "Very happy, Great job"
5 out of 5 rateing. I had a very pleasant experience and I will refer friends & family. Thank you Woodall for a great buying experience. For months we were searching for a particular car and couldn't find one, then we came across Woodall Auto. We found the car we wanted and had the best buying experience ever. 2nd time buying from here, both times excellent service. Thank you. At Woodall Auto Wholesale we are proud of the quality used cars we sell and our dedication to serve the needs of our customers. This is reflected in the amount of repeat business we receive. Whether this is your first purchase with us or one of many that you’ve had, you can count on our dedicated sales staff to make it the best buying experience possible.  Great & Fast Service, by Patricia & Paul from Vero Beach, Fl | February 6, 2014 My husband & I have dealt w/ many car dealers through out our many years & we are both in our 70's, and we must say dealing w/ Naren Gandhi at Woodalls Auto was w/ out a doubt the most pleasurable experince that we ever had. Also Marcy was so pleasant & friendly. 5.0 out of 5.0 Excellent price and great service! 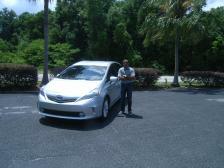 by Woodallautosales fan... from Orlando, FL | November 8, 2013 Naren and JR were great. 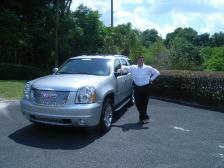 The process was a breeze and I love my new 2009 GMC Acadia! I will go back and recommend a freind. You guys rock! 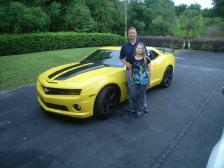 5.0 out of 5.0 2011 Dodge Challenger by Brent S*** from Orlando/ Fl | January 20, 2014 quick and easy buying process. no problems with the car, advertised correctly. love the car. 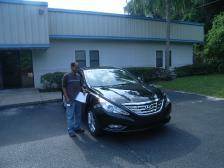 smooth transaction, great price, helped me get approved for financing. would recommend to anyone to buy a car from them. 5 out of 5 review. Thanks Vince. 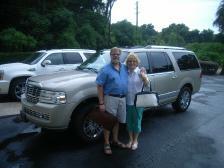 Thank you Woodall Auto for pleasant buying experience. Great selection of inventory and fair trade-in price. Professional and straight forward so don?t expect to negotiate. I appreciate the extra key and prompt communication. Will definitely buy again as well as recommend Woodall Auto Wholesale. Keep up the good work!!! 5.0 out of 5.0 2011 CAMARO CONVERTIBLE by ROGER from LECANTO, FL. | December 28, 2013 SMOOTH TRANSACTION. EVERYTHING WAS READY AND WAITING. 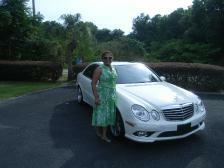 THE CAR IS EXACTLY WHAT WAS ADVERTISED AND IN GOOD CONDITION. 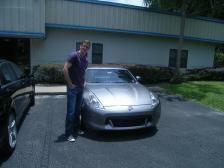 I WOULD RECOMMEND WOODALL AUTO TO EVERYONE. 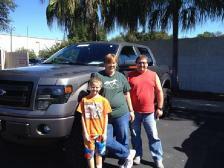 We recently purchased a 2013 F150 FX4 on Saturday 10-25-14. We would like to say that we are very satisfied with the quality of service and the no pressure sales approach. 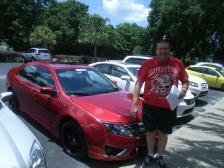 The salesman (Casey) was very helpful and able to answer all questions we had about the vehicle. Even the final sale and paperwork went very smooth and quick. We would like to thank everyone there and say we would definitely purchase from here again. 5.0 out of 5.0 2012 Chevy Camaro 2LT by Samantha from Hollywood, FL | January 19, 2014 Great experience from start to finish. After working with 3 big name Chevy dealerships in South Florida, finally came across a dealership that is genuine and cares about the customer. 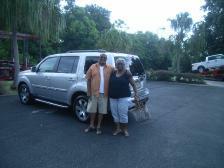 Naren and the dealership made it worth the drive up to Orlando! I couldn't be any happier with my beautiful new Camaro!